But sometimes, just sometimes, the fishing gods smile on insanity! 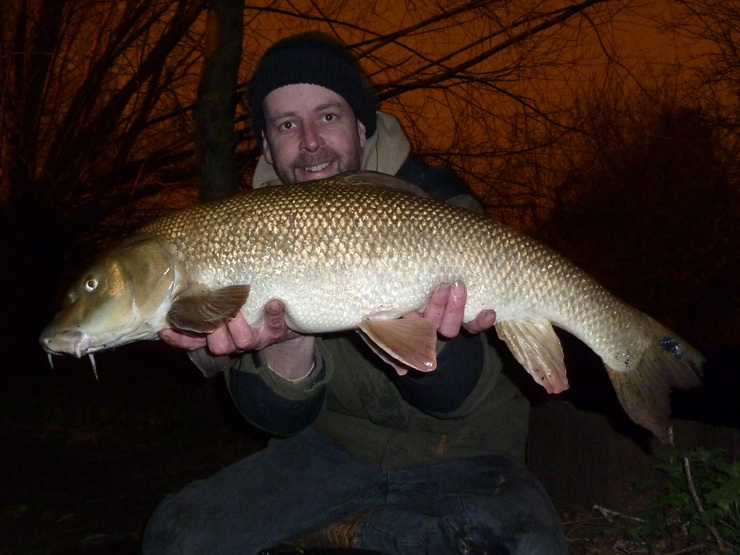 And tonight I was rewarded with this beautiful double figure barbel. She tried to flip out of my hands in the top photo, so I took another... Think I prefer the 'action' shot now! 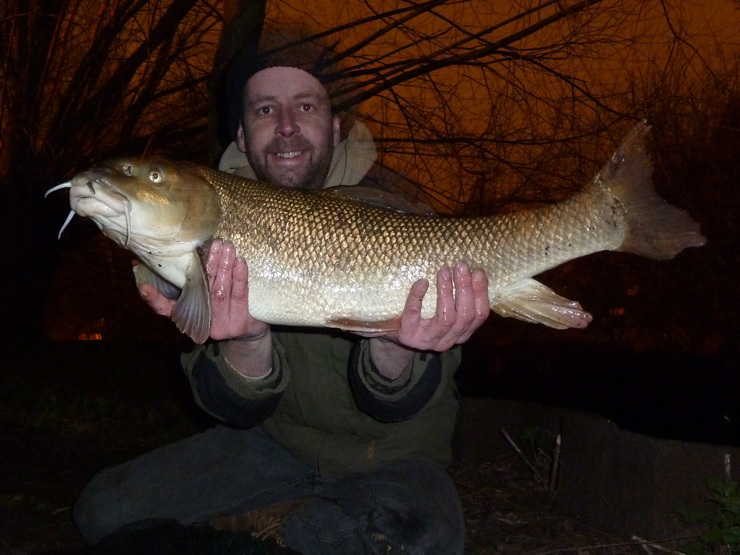 Awesome effort and stunning background sky, just reward for fishing in these conditions-for Barbel! Cheers. Love the orange sky as well, disguises the fact it's raining and freezing - I was cold - but it was worth it! Superb result Brian, looks a peach of a river prince too. Thanks - it's a great fish, and that photo helped too - the timer went off exactly when fish flipped - didn't even have time to react - I'll probably never take a better fishing photo. Would that be the return of the Pig? The inevitable return of the big fat pig!! But what an evening for it, was looking like a small chub and an eel for the session until I bent down to wind in the last cast of the day - then it tried to rip the rod in - result! those are the best sessions mate, when you go out when everything says you shouldn't. Top result! Fortune favours the mad. I really was questioning my sanity... It's these results that keep us on the riverbank. Cheers. How many times have you had this fish now Brian ? It must be double figures . Usual swim ? Three, haven't fished there for a while, half an hour and she shows up! But it warmed up a very cold night... She's fighting fit and putting on weight.